Here's what some of our customers are saying about us. Thank you for our new room, your fitters worked so efficiently and did an amazing job. We can now use all year round, its such a cosy room. We absolutely love our new conservatory, it now feels like the cosy room we always wanted. 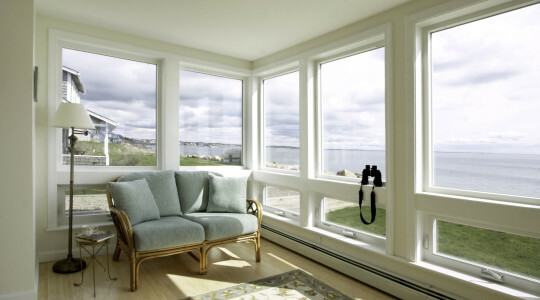 We can now enjoy the fabulous views all year round. Thank you so much for our new room Julian, we are over the moon with the results already. We can now sit in our new sunroom anytime, whatever the weather. 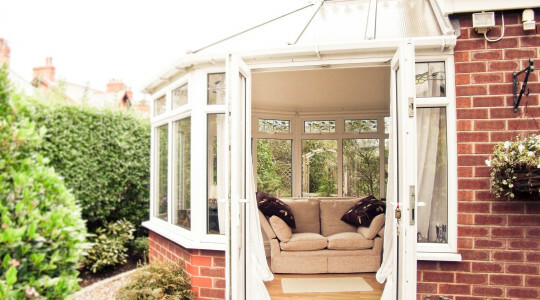 We would be happy to recommend your company to anyone who wish to make their conservatory more useable. Extreamly pleased with the work carried out by Nathan and Sam. Very professional. Great work, nice lads, well done. Very quick and tidy job would recommend. Very able and proficient very helpful. Very satisified with their work. Very clean and efficent lads. Thank you so much. We love our new conservatory, it no longer leaks and is the cosiest room in the house. I'm sure it has also added value to our house, if we ever decide to sell it of course. The installation team were here at 7:30am as requested, so I could get off to work. When finished they cleaned up after themselves and even mopped the conservatory floor for me. I would definitely recommend Conservatory Roof Insulation Ltd.
An excellent job, lovely couple of lads left the place spotless. I can’t rate them or yourself high enough. I’m so glad I did my homework properly. From our first contact the service was professional and efficient, the price quoted was excellent not what we expected lots of other firms quoted more , and only offered a full new roof refurb, but you offered us an alternative, we are so glad we contacted your company, the fitters arrived on time and worked quickly and efficiently, Sam and Jamie are very polite workmen and attention to detail was very important to them, they kept everything clean and tidy & removed all rubbish, this product has given us what we wanted and more we are so happy with the outcome, we now have a room we can use all year round, we will definitely recommend this company. Please find this brief note to express our complete satisfaction with the work carried out on our conservatory recently. Your fitters Sam and Nathan were pleasant and courteous throughout. The work was carried out in a quick, workman-like manner with a thorough cleanup at the close of events. Just felt I had share my absolute delight at how effective the insulation & ceiling is in my conservatory. Having had a fair amount of snow in the last couple of days, the snow is still languishing on the glass roof, proving that I am not losing my precious heat through the glass anymore. Thank you again, this was genuinely money well spent. My ceiling has been installed & I’m thrilled to bits, thank you so much. It has been a pleasure dealing with you & Beverly, you have both been very helpful. Sam & Jamie arrived early this morning, set to work immediately & made very short work of the installation. They were friendly, professional & clean. I would definitely recommend your company. Once again, my thanks to you all for making this process easy & stress free. Just wanted to say thank you for yours & Julian’s help and assistance all through (our long) process. But so happy we have done this now, it looks amazing, and so warm. Also thanks to your fitters, what professionals! Here at 8am, until late, great service. Sorry I couldn’t be here when they left, but tell them thank you so much for their professional service. I’ll defo take pictures for on the finished product, our new sofa is not being delivered until January though, but I’ll send you some with the crimbo tree in for now! Please let me know if I can be of assistance in recommended you in the future, to potential customers. If they are local they are quite welcome to come and have a look. Just to give you some feedback, what a fantastic job your lads did on Friday. They was very polite, professional and hard working. A credit to your business. We would definitely recommend you. Thank you so much. The room is much more usable already, we've not needed the heating on and it is still lovely and light due to the huge skylight. Really great service at every stage of the process and the lovely lads that fitted the roof worked like troopers to get it all finished in two days. We couldn’t recommend you highly enough! Absolutely love the roof Beverley. The guys were brilliant and so polite, moving the furniture back for me as my husband is disabled. It looks good and has cut down the noise from the rain that we used to get. I am positive it will be lovely as the weather gets colder. Very professional, worked really well. Very impressed and will highly recommend. Very good job! Fitters were great. Clean, quick and tidy. Thank you for your communication throughout the job. Your fitting team were very nice and super quick. Great job! Great Job. Couldn’t be happier with your fitters, lovely lads. Finished results look amazing. Brilliant job! Completed all the work in one day. Very polite & courtious, they even cleaned up afterwards and left it spotless. Thankyou, we can feel the difference already, much cooler and quieter. Very good work. An excellent service. Very pleased with our new roof! Enjoying this sunny day today and not melting. Friends and family have just been to look at our conservatory and they really liked the finish. I told them how much of a difference it has made to our room and how pleased with we are with yourselves. 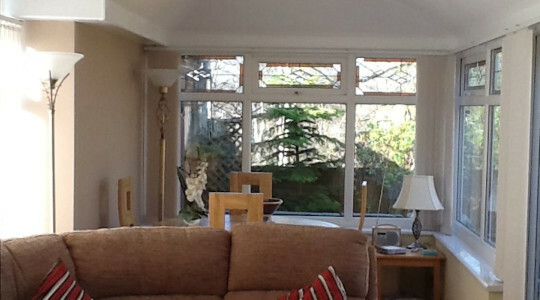 Thank you for our conservatory transformation - looks wonderful. The lads did a great job, very pleased with the result. Thank you to you and your company for our new conservatory ceiling - it's lovely and has made such a difference to the warmth levels already. The finished room is lovely so thank you very much, it has probably turned into my favourite place to lounge. Thanks for our lovely conservatory ceiling. We can use all year round now. I would recommend this to anyone that's got a polycarbonate roof. The guys that did this was very quick and worked hard. Massive thank you. We are really pleased with the job, and will be happy to recommend you, and send pictures if anyone wants! It has made a huge difference, cool in summer and really warm so far this winter. Thank you so much for your help and kindness in making our purchase a pleasure. Just want to email to let you know what a great job your guys have done on the conservatory. Everyone was very polite and professional. Would really recommend your services to anybody who wants the same work done. Just a quick update on our 3 day experience of the benefits of the newly insulated roof. I was looking to lower the noise levels due to heavy rain on the polycarbonate roof & hoped that your insulation process would achieve this. The first thing we noticed was that the normal traffic noise had almost disappeared, the eerie silence taking us by surprise & very gratifying. Also the same applies to the noise from horns of stationary trains on the lines some 1/4 miles away. We had a prolonged heavy rainfall this morning & this noise on the roof was down to gentle drumming. All together so far our experience of the effects of your insulation system are all very good & I am not concerned about any improvement in the winter heating bills. That will just be the icing on the cake. Once again a very big thank you for your excellent service, 4 days from first contact to completion & a job well done. Room is great thanks, massive difference, made it more usable for all the British seasons we may or may not enjoy. 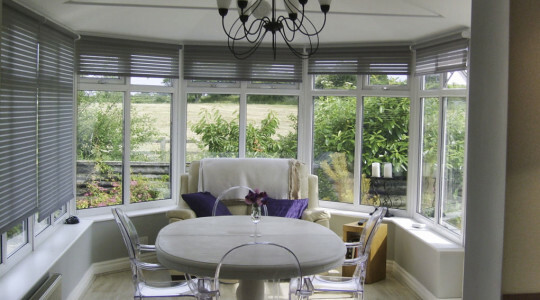 I would just like to express my thanks for the work carried out on our conservatory this week, your fitters are first class and were both very polite, they are a credit to you. 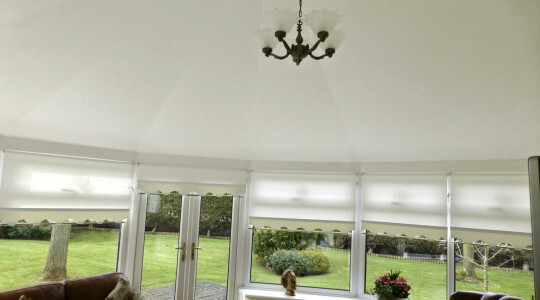 We're absolutely delighted with the outcome and can't thank you and cosy conservatories enough for all your help in making such a great job of a difficult ceiling configuration. We have had our Conservatory done recently and couldn't be happier. We have had so many positive comments on how fantastic it looks. It is so much warmer and during the recent heavy rains is was very quiet. Unbelievable how just having a ceiling changes a room. We have sat in the Conservatory more times in the past month than we have in the past 10 years . We spend all our time in there now even though we have not finished the room completely. I would recommend Conservatory Roof Insulation.com to anyone for price, service and the finish. The service of the workers on site was just excellent! They left everything clean and tidy. The temperature difference in Summer and Winter is so noticeable and it’s also eradicated all the rain noise. We couldn’t believe how reasonable the quote was, we really thought it was going to cost thousands. And the transformation is unbelievable. Thanks so much. We are so pleased with the result, it’s everything you said it would be. Much quieter when it rains, much more stable temperature, it’s now a useable living space. Can I just take the opportunity to say that from our first contact through to finished installation, you and your team have been exemplary in every respect. If anyone is considering having this done I would recommend you without hesitation. Lovely lads, very professional, thorough and left everything clean and tidy. Done a great job! Just a quick line to say thanks for the swift and friendly work by your team on Tuesday. It looks great. Excellent work. Sam and Nathan have done a wonderful job. Very pleasant young men. They are a credit to your company. Good job done. Looks great. Workers did well, very pleasant. Arrived early, worked really hard all day. Polite guys, would definitely recommend. Just as ordered/promised - site left clean and tidy. Excellent job. Sam and Nathan are fantastic!! Very pleased with work done, and how all was cleared afterwards. Just wanted to say thank you so much for our new room its amazing and i love it, your lads were extremely professional and there attention to detail was impeccable that includes Kieren the electrician who went above and beyond the call of duty, very impressed. From our first meeting till completion its been outstanding, credit to you all. 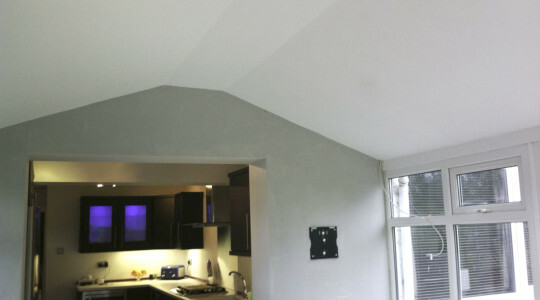 Fantastic, really pleased with the new ceiling and lights, very friendly and professional. The work has been completed to a very good standard and the workmen were neat and tidy and carried out the work in a professional and workman-like manner. I am very satisfied with your work. You were thorough to get all the measurement right before having the steel work fabricated, once work started your staff worked speedily and carefully to get the old roof and the new one on all on the same day. Finally they went the extra mile to ensure that the completed job was sound in every respect. I am happy to recommend your company. 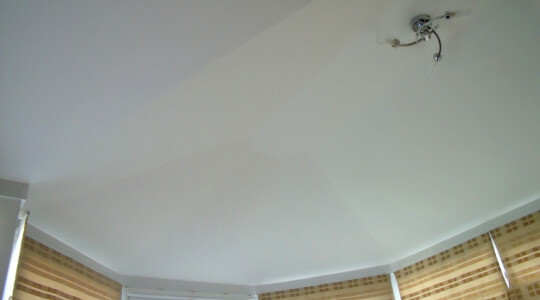 Thanks for the work done on our conservatory roof and wall before Christmas. We are very pleased with the result and your efficient service. Conservatory roof instalation have done a superb job of my conservatory roof, looks like a diffrent room would not hesitate to recommend you. The fitters were both pleasant and hard working guys. Well done. Your fitting team have completed the work. It is to a very high standard. They were very obliging about moving the heavy armchair and could not do enough for us, and extremely pleasant too We both Gwyn and I are very pleased about the result. The conservatory has never been warmer in winter. So thank you very much. Excellent instalation Thanks! Your team did a great job, our new ceiling looks great with the gloss white boarding. Much warmer now and we can hardly here the rain sound! Very good servive, finish job looks great, could not have had a more efficient workers thorough, clean and polite. Great work, clean and tidy, lads were good and friendly, well mannered. Quickly and efficently done. Very tidy workmen and very friendly lads. Really pleased with the work. Friendly workmen, helpful, knowledgable and wont hesitate to recommend. Thanks! Very neat job in good time. Nathan and Sam worked very professionally and obviously know their trade. would recommend without hesitation. Sam & Nathan did a first class job, left everything tidy and clean. Very friendly. Great product, looks really smart. Sam and Nathan were friendly and industrious. Left conservatory clean and tidy. All in all we are really impressed with the product and the workmanship. Excellent job by Sam and Nathan. Great lads, friendly and helpful. Finished ceiling looks really good. Pleased with the work, the 2 guys were great worked hard and cleand up afterwards. Absolutely delighted with the conservatory roof insulation Nathan & Sam did today. They worked very hard and were very pleasant. The room looks fantastic. Hard working lads never stopped. 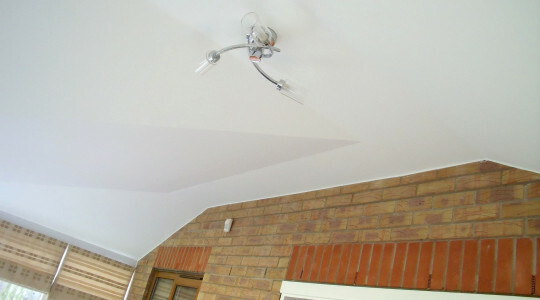 Good workmanship, would recommend to anyone. 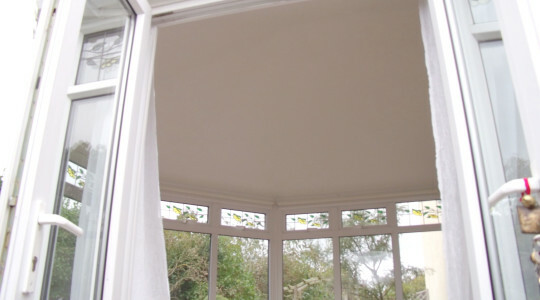 Conservator Roof Insulation Ltd fitted us with a 7.5 x 3 metre conservatory roof. We met Julian at Grand Designs in Birmingham, from the outset it was very clear he (and his team) were experts and we were in good hands. No hard sales, just great consultancy and sound advice. The whole process was clear and simple with excellent customer service. Ash and his team were just superb ! They worked very hard, long days and the quality of workman ship is exceptional. I'd like to thank Conservatory Roof Insulation Ltd. for my new conservatory roof. It was too cold before in the winter and far too hot for me and my cat in the summer, so never got used. Now I'm going to make it my new Sunroom - a room I'm sure I will be able to use all year round. Thanks for all your efforts, a great team. Our conservatory roof insulation was completed this morning and we are very pleased with the result. Obviously the thermal benefits have yet to be tested but I am confident that the performance will meet our expectation, and the visual appearance is top-notch. Our felicitations on your installation team; quick, efficient, competent, tidy, good-natured, and economical on the tea front! They also took snaps of the finished job for your records. After spending the last 3 summers and winters hardly using our conservatory we seriously questioned why we’d ever decided to have it built. In summer it was too hot and the glare too bright whereas it was freezing in the winter, so it had turned out to be an expensive mistake. We’d had blinds fitted and an anti glare film on the roof glass but it hadn’t made much difference. Then we saw your company as we searched google. What attracted us was the family firm and you being fairly local, you did the rest as you explained the process and the fitting. The fitters came within a week; were pleasant, hard working and tidy young lads. Then the proof; the weather turned colder and amazingly the conservatory wasn’t the ice box we’d come to expect, it’s a useable room and it’s still bright and airy. Thank you. If anyone is contemplating having their conservatory roof insulated we’d thoroughly recommend this company. Our conservatory was rarely used because it was either too hot or cold. The roof panels had become discoloured and the noise of rain on the roof was also a problem. 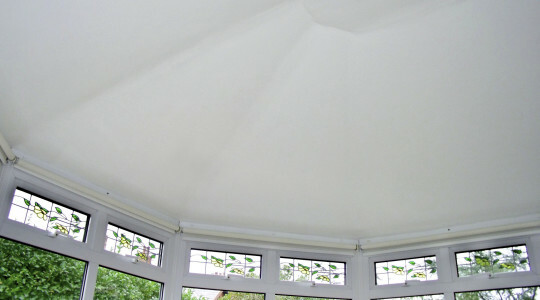 After contacting several companies, we chose Conservatory Roof Insulation to insulate and plaster the ceiling. Getting a quote was simple and after speaking with Julian by telephone we felt confident that the job would be completed quickly and professionally. The price quoted was competitive compared with others we had received. The week before installation, Beverly called to reassure us that everything was to go ahead as planned. The installer arrived as scheduled and completed the job within the day, thoughtfully clearing up as much as possible. 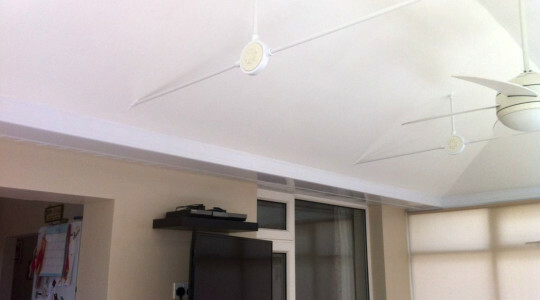 He took care with details and we are delighted with the finished ceiling. It has transformed our conservatory into a room that can be used at any time - almost silent when raining, much more comfortable on sunny days and easy to keep warm as the colder weather sets in. We would happily recommend this company to anyone. They have a friendly and efficient approach both to ordering and ongoing customer care, they answered all our queries quickly and we could not be happier with the end result. Very happy with our new conservatory roof replacement. The fitting team worked like troopers to finish in time. What a difference it makes, it's so much cosier. Very happy with our new room, seems so much brighter and cleaner. We can hardly hear the rain now and we've recently had so much of it! It now feels so much more cosier. It now feels so much more like a normal room, that we can use all the time. The fitting team arrived first thing and completed the whole process from start to finish all in one day! A great bunch of guys, they even cleaned up afterwards. Your fitters completed the job, quickly and efficiently. A job well done. Fitters were nice and friendly and the results were great! Very happy with the results. Thank you for such an easy and quick process. Amazing work. Great service. Would be happy to recommend you. Your fitters worked very quick and hard. Smooth process. Great Job. Should of done it sooner. Your fitters worked quickly and efficiently. Love the final result. Just a note to say many thanks for doing a great job with the new conservatory roof and the backup service. A big thanks to all the team. Thankyou for a fabulous job on our conservatory, we now have that extra room we so desperately needed. We're very pleased with the result. It looks great, we are really happy with it and would be happy to recommend you...it is still really bright and sunny and now a fully useable room of the house. The sound of rain has also been massively reduced! We love the work you did and couldn't be happier! The workmen we had today were fabulous. They worked really hard, were incredibly polite and were lovely with my 3 year old daughter who was fascinated by what they were doing! It's raining heavily here but you can hardly hear it in there - an amazing difference! Thanks again. Firstly and fore-most it's very rare in my opinion (I've nearly 30 years of Project and Contract Management on large construction sites across the UK) that the guys on the ground get the thanks and praise they deserve. Yesterday your team could have just got on with the job without saying a word, and using their knowledge and experience they had the integrity and honesty to be brutally frank and not just take the money and run. Even though this is costing me a few quid more, I think you have two honest and good guys there and it fills me with great confidence that when they come to do the job it'll be done to a high standard, please pass on my thanks to them. Thank you, the conservatory roof looks amazing. The guys who completed the work were first class and worked extremely hard. Many thanks for the good work that your team put in over the last few days insulating our conservatory. Very pleased with the result. thanks for a wonderful job you have done to my conservatory the staff who carried out the work were pleasant and very professional i will recommend you to all my friends and family again many thanks. Looking forward to using our conservatory through the winter - great work on Friday to get it done. Already feels much warmer and cosy. Thanks for doing such a fantastic job!. We are chuffed to bits with the final result and the consequent 'drop' in temperature when the sun is directly on it. It has now been transformed into a room we can use as we originally intended. Thankyou so much for all your help and I know Dawn was very pleased with the little 'present' she received as well. We have had a conservatory on the back of our house for eleven years and like so many others have come to realize that they are way too hot in the summer and far too cold in the winter. 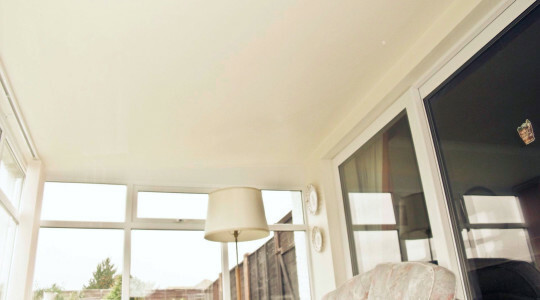 We read the details of Conservatory Roof Insulation.com on the internet and it seemed very impressive, so we took the plunge and spoke to both James and Beverley Latham who were able to answer all my queries. We had their two man team out a couple of weeks ago and in just over a day they transformed our almost unuseable conservatory in to a useful garden room. The work was carried out professionally and quickly by two tradesmen both called Mark who also left the place really clean and tidy. The temperature in the conservatory is now very much lower and the overall effect is amazing. 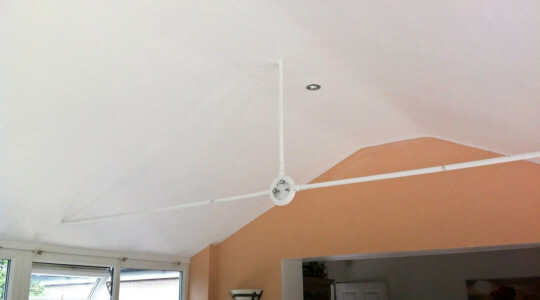 We have no hesitation in recomending Conservatory Roof Insulation Ltd. to anyone. we love our new room!